Tsuburaya Productions has provided SciFi Japan with an update on ULTRAMAN R/B (RUEBE) [ウルトラマンＲ／Ｂ(ルーブ), Urutoraman R/B (Ruubu)], their upcoming television series featuring a pair of Ultraman brothers. 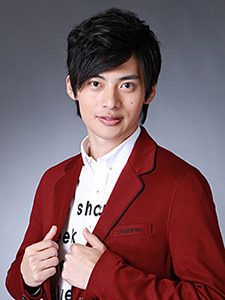 Having already introduced the show’s new Ultramen — Ultraman Rosso and Ultraman Blu — and lead actors Yuya Hirata and Ryosuke Koike, Tsuburaya Pro has now revealed some additional members of the main cast; Arisa Sonohara as the pair’s little sister, Asahi Minato, Ginnojo Yamazaki as their father, Ushio, and Motoki Fukami as research company president, Makoto Aizen. 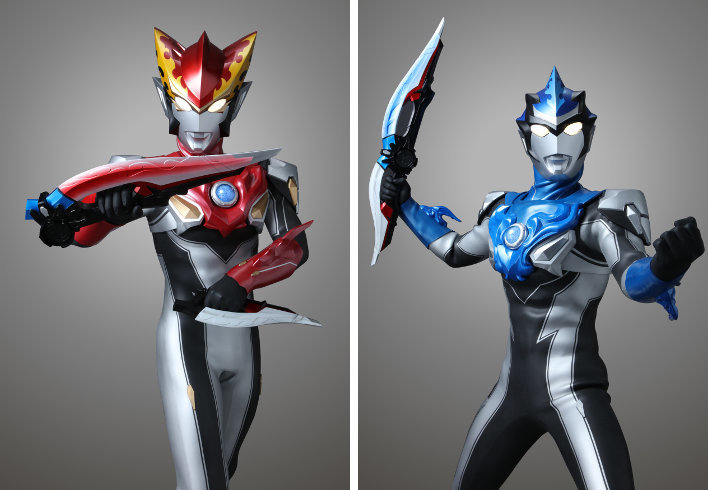 More information on the Ultraman Brothers, their transformation device and weapons have also been shared. The cast and crew of ULTRAMAN R/B will make their first public appearance during the INTERNATIONAL TOKYO TOY SHOW 2018 at the Tokyo Big Sight Exhibition Hall on June 7th. See below for details. ULTRAMAN R/B will premiere July 7th on TV Tokyo, one week after the conclusion of the currently-running series, ULTRAMAN ORB: THE CHRONICLE (ウルトラマンオーブ ザ クロニクル, Urutoraman Oobu Za Kuronikuru). The June 30th episode of ULTRAMAN ORB: THE CHRONICLE will include a preview of the new show. Photo courtesy of Tsuburaya Productions. A high school student, Asahi is the younger sister of Katsumi and Isami. She is very close with her brothers. Asahi is a pacifist who always says “Happy♪”. Her greatest wish is that people all around the world will be happy, and she tries to get along with everyone… avoiding disputes to such a degree that she won’t even play janken (aka “rock, paper, scissors”). She always has candy with her. 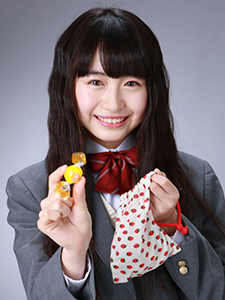 Like a typical high school girl, Asahi is into social networking, sweets and fashion. But she is also responsible, handling the housework on behalf of her mother. Asahi is the key to healing the rifts in the Minato Family, restoring the connection between Katsumi and Isami. A former member of the J-pop group Otome Shinto, actress Arisa Sonohara has appeared in the film CINDERELLA GAMES (シンデレラゲーム, Shinderera Gēmu, 2016) and the 3rd season of Netflix’s FULLER HOUSE. 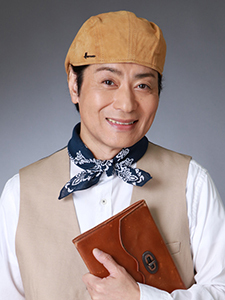 The friendly and gentle father of the Minato family, Ushio is owner of the specialty shop “Quattro M” in Ayaka City. He launched the store to support his wife, Mio, who was deeply immersed in research. 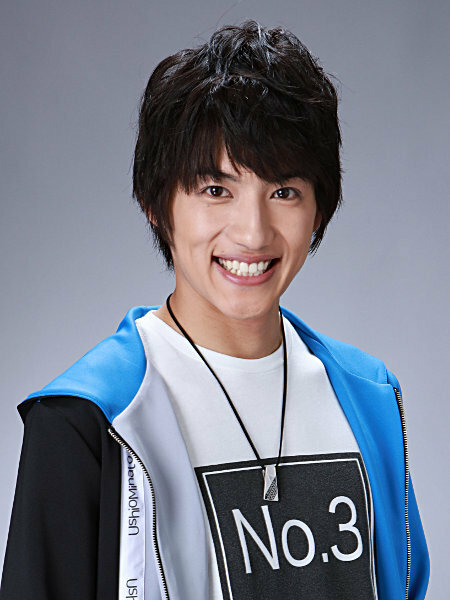 He has also designed and developed his own clothing brand, “UshioMinato”, which he sells at Quattro M.
Unaware that his sons are Ultramen, Ushio has been greatly disturbed by their recent rebellious behavior. Actor Ginnojo Yamazaki has appeared in the movie TIME TRIP APP (幕末高校生, Bakumatsu Kokosei, 2014) and the television series KAMEN RIDER WIZARD (仮面ライダーウィザード, Kamen Raidaa Uizaado, 2012-13) and KYURANGER (宇宙戦隊キュウレンジャー, Uchuu Sentai Kyuurenjaa, 2017-18). Makoto Aizen is the president of Aizentech, a corporation based in Ayaka City that is garnering worldwide attention for its research into space development and unknown forms of energy. He is also the research manager for the company. Known for wearing white suits, Aizen is viewed as a celebrity by the residents of Ayaka City, trusted by the public as well as his Aizentech employees. He is friendly towards other researchers and exudes a strong sense of confidence. Actor Motoki Fukami’s credits include the UMIZARU and CROWS film series, AIBOU SERIES: X DAY (相棒シリーズ XDAY, Aibo Shirizu X DAY, 2013), WHY DON’T YOU PLAY IN HELL? (地獄でなぜ悪い, Jigoku de Naze Warui) and THE VIRGIN PSYCHICS (映画 みんな！エスパーだよ！, Eiga Minna! Esupa Dayo!, 2015). The elder of the Minato brothers, Katsumi Minato becomes Ultraman Rosso by releasing the elemental power residing in the Ruebe Crystal with the transformation device, the Ruebe Gyro. He is usually even-tempered and intellectual, but can be amazingly hot-blooded when it comes to his interests. A skilled baseball player, Katsumi was hoping for a future in the sport, but those plans were derailed when he 8 years old by the disappearance of his mother. Instead, he abandoned his dream in order to support his family. 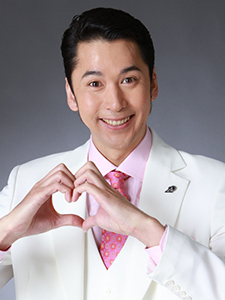 The younger brother Isami becomes Ultraman Blu by releasing the elemental power residing in the Ruebe Crystal with the Ruebe Gyro. A college student, Isami prefers studying to athletics. He is currently majoring in space archeology, the same field as his mother. He deeply respects his older brother, who gave up his dreams for the good of the family. Isami has a bright and positive personality, and often sets the mood for those around him. The Ruebe Gyro in standard and transformation modes. Photo courtesy of Tsuburaya Productions. © TSUBURAYA PRODUCTIONS. ■ Ruebe Gyro and Ruebe Crystal — Transformation and Type Change! 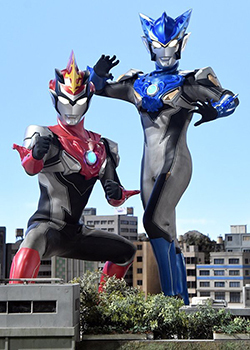 By loading the Ruebe Crystal shared by the two brothers into the Ruebe Gyroscope transformation devices that each brother has, the older brother Katsumi transforms into Ultraman Rosso and his brother Isami becomes Ultraman Blu. The Taro Crystal and Ginga Crystal. Photo courtesy of Tsuburaya Productions. 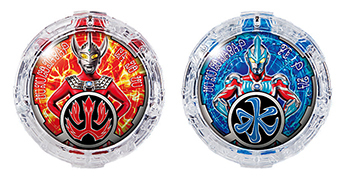 Katsumi transforms with the Taro Crystal, with its elements of fire, into “Ultraman Rosso Flame”. Using the Ginga Crystal with elements of water, Isami takes the form of “Ultraman Blu Aqua”. Based on their needs during battle, the brothers can also change the type of transformation by exchanging Ruebe Crystals. If Katsumi uses the Ginga Crystal he will become “Ultraman Rosso Aqua”. 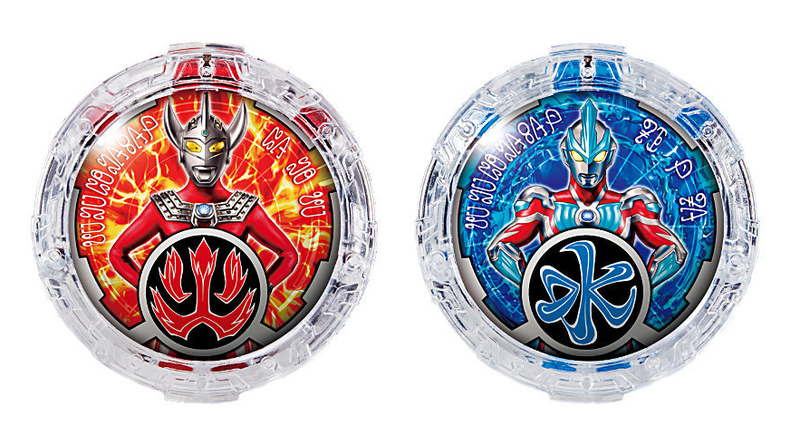 By using the Taro Crystal, Usami becomes “Ultraman Blu Flame”. ■ New Weapon — the Ruebe Sluggers! The Ultraman Brothers have other big features besides the type changes… the blade-shaped weapons called Ruebe Sluggers that emerge from their heads. Reminiscent of Ultra Seven’s famed weapon, the Eye Slugger, the Ruebe Slugger Rosso is a pair of long and short blades wielded by the older brother, while the Ruebe Slugger Blu is one long sword used by the younger brother. The Sluggers can be used for a variety of attacks such as thrusts and strikes. They are equipped with light blades and can fire rays from the tip of each weapon. Left: Ultraman Rosso Flame with the Ruebe Slugger Rosso. Right: Ultraman Blu Aqua with the Ruebe Slugger Blu. On Thursday, June 7, the “ULTRAMAN R/B (RUEBE) Production Presentation Outline” will take place from 11:00-11:30am at the INTERNATIONAL TOKYO TOY SHOW 2018. The event will be held on the Bandai Booth Main Stage in Tokyo Big Sight West Exhibition Hall 2. The show will feature appearances by series director Masayoshi Takesue; cast members Yuya Hirata, Ryosuke Koike, Arisa Sonohara, Motoki Fukami, Ginnojo Yamazaki plus Ultraman Rosso Flame and Ultraman Blu Aqua. The presentation will also include a photo session. 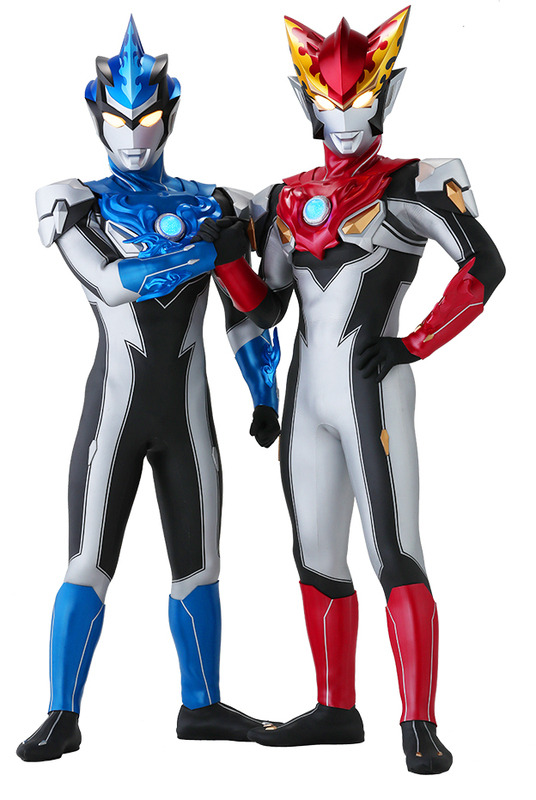 Hirata and Koike will also participate in the “ULTRAMAN GEED THE MOVIE Grand Finale Greeting” on Saturday, June 23, at the Marunouchi Piccadilly in Tokyo. Following a screening of ULTRAMAN GEED THE MOVIE: CONNECT THE WISHES! (劇場版 ウルトラマンジード つなぐぜ! 願い! !, Gekijoo-ban Urutoraman Jiido Tsunagu ze! Negai! !, 2018), the two actors will take the stage alongside GEED cast members Tatsuomi Hamada (who played Riku Asakura/Ultraman Geed) and Yuta Ozawa (Leito Igaguri) plus Ultraman Geed Ultimate Final, Ultraman Zero, Ultraman Rosso Flame and Ultraman Blu Aqua. The event begins at 9:00am.